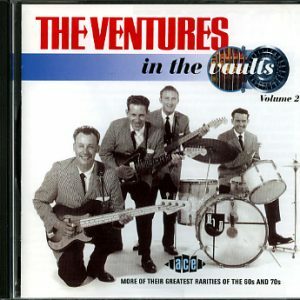 This is a 2-CD set to commemorate the 50th Anniversary of The Ventures’ first visit to Japan in 1962. 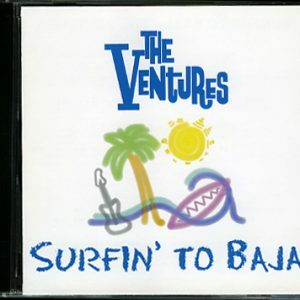 CD number one has 17 tracks relating to Japan: either songs written by The Ventures for the Japanese market (e.g. 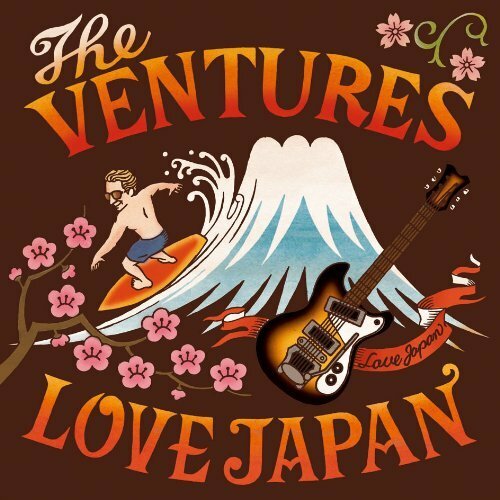 Kyoto Doll) or Japanese hit songs that were recorded later by The Ventures (e.g. Hotel Pacific, a Southern All Stars hit). 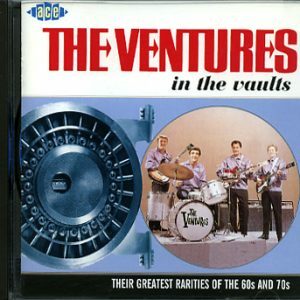 CD number two has 20 classic Ventures’ titles ranging from Walk Don’t Run to Caravan, with a few unexpected tracks like Mercy Mercy Mercy from the Walk Don’t Run 2000 CD. The full track listing is shown below. Release date in Japan is June 20, 2012.